Martha Berry asks Mr. Montgomery for a cash price on some property he has for sale. 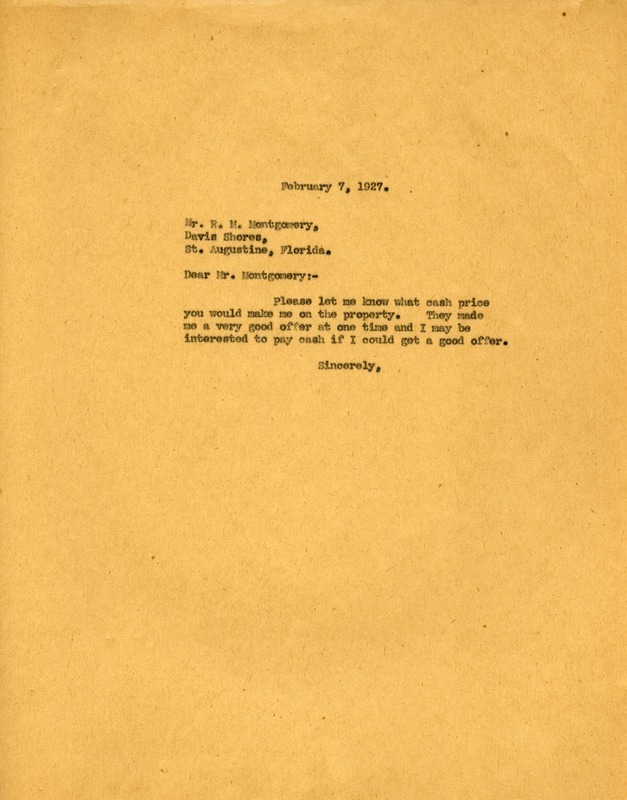 Martha Berry, “Letter to R. M. Montgomery from Martha Berry.” Martha Berry Digital Archive. Eds. Schlitz, Stephanie A., Chelsea Risley, Alan Henderson, et al. Mount Berry: Berry College, 2012. accessed April 18, 2019, https://mbda.berry.edu/items/show/5297.